It’s Friday! Yaay! So who’s ready some cooking/grilling? 😀 I know I am! 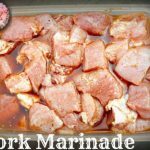 So here comes an easy pork marinade recipe which gives a really great and delicate flavor to it. I made a stew out of this amazing marinated pork and it came out so great, I didn’t have to add any more spice. Next time I’ll grill the pork, I’m sure it’ll be delicious. So, back to the marinade. I used about 1 kg pork shoulder for this one. 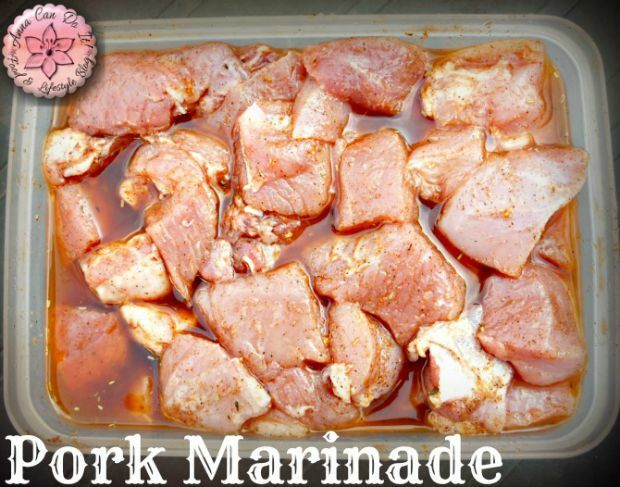 Pork Marinade for 1 kg Pork. Use a mortal and pestles or a spice grinder to mix the spices well. I diced the pork first, I poured the oil and the lemon juice onto the spice, mixed them and rubbed it into the pork. Let it marinade at least for 2-3 hours, but let it rest over night if you can.